XTEK Limited is Australia's homeland security specialist delivering the most innovative homeland security solutions from around the globe to our regional customers. XTEK has a long history delivering Explosive and Ordnance Disposal systems, Small Unmanned Aerial Systems, Tactical and Protective Security equipment as well as Forensic systems. This is all backed up with local Australian maintenance, engineering and training services. XTEK is an emerging world leader in the ballistic armour solutions. XTEK has developed several customised products suited to unique industry/ customer needs focusing on enhanced capability and reliability. XTEK represents world class international suppliers, most under exclusive distribution agreements and can provide technical and non-technical after-sales service, support and consultancy. An Australian Defence Force Recognised Supplier, XTEK is listed on the Australian Defence Force Register as an approved maintenance facility and is a Member of the Defence Industry Security Panel. Our management and staff have distinguished military and police backgrounds and extensive experience in the Homeland Security sector; thus, ensuring a professional, reliable and expert service for our clients. • XTEK TAC-2 sniper rifle in-service with the ADF and police. • Small Unmanned Aerial Vehicles (UAV). situational awareness beyond the frame. • Explosive Ordnance Disposal robots and X-ray solutions. • Carbon fibre parts with high carbon fibre content for lighter stronger composite solutions using XTclave™. Our Engineering Development capability develops world-class technical solutions from concept through pre-production prototypes to commercialised end-products. 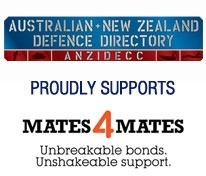 Its strong focus on leading edge technology and enhanced capability for the user has already translated into an exceptional technical reputation not only within the Australian Defence and law enforcement communities, but with a range of international commercial and Government organisations. The Logistic Engineering Department (LED) service and support capability includes Through Life Support for all our products for both Government and private sector agencies.